No-prep 4th grade math review with a fun spring theme! 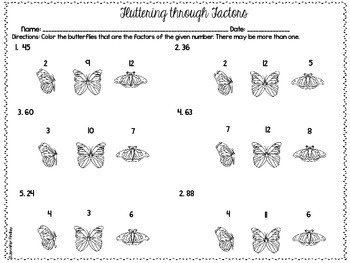 This resource contains 19 Spring themed math review printables that cover 4th grade math skills. 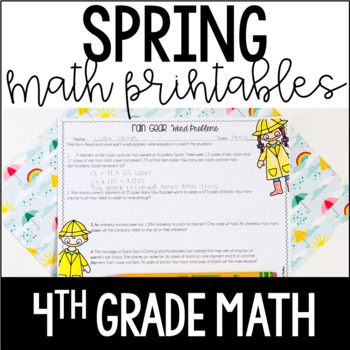 Click here to see 5th Grade Spring Math Printables! These are ready to use in your classroom immediately. Just print and copy! (Or put in page protectors to save copies). 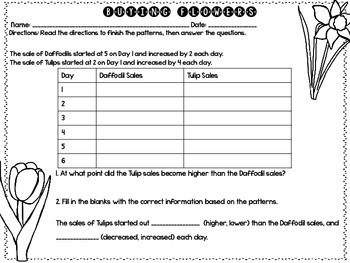 Click here to see the BUNDLE of all of my Holiday and Seasonal Just Print Sets for 4th Grade Math. The 19 printables cover 19 different 4th grade math common core standards! Check out all of my Spring Themed Resources by clicking here.